The Millennium Galleries in Sheffield is fab wedding venue, nice light open airy rooms for your reception and ceremony and the Winter Gardens a stones throw away – ideal if its raining! Its a fantastic city centre venue. 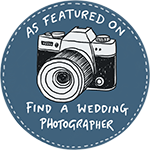 Helen & Paul are based in the Lake District and are also Sheffield wedding photographers who love to photograph weddings in the Peak District too and all over Yorkshire!